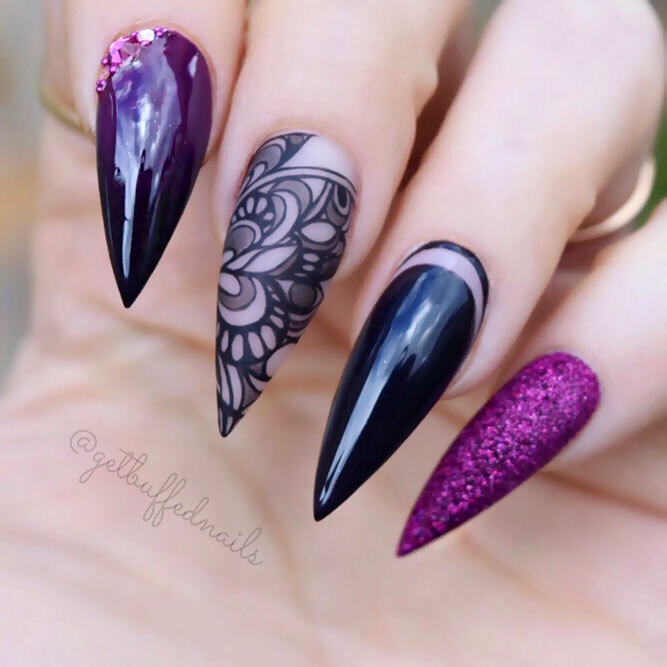 When it comes to nail art – everyone has her own style as well as preferences. However, those of you who like to stand out choose bold and daring manicure. 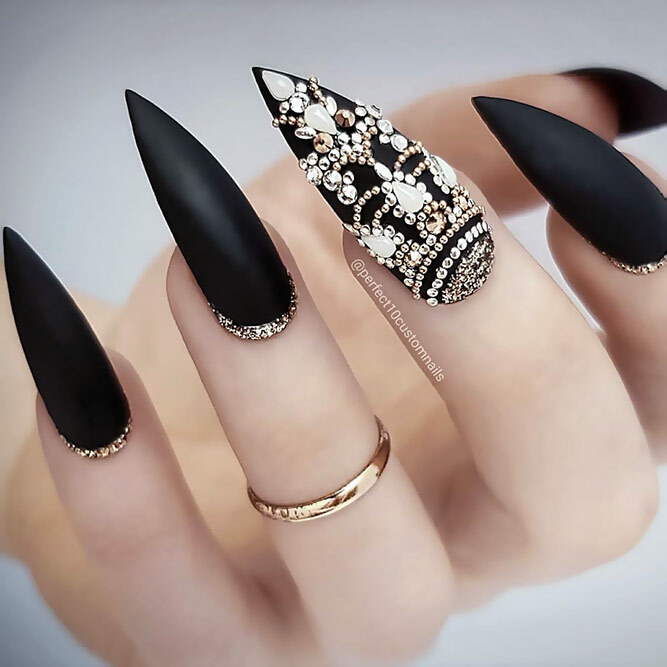 We have given this idea some though and come to the conclusion that there is nothing edgier than black stiletto nails. However, besides that, we want to show you that even a bold manicure can very stylish, versatile and creative! 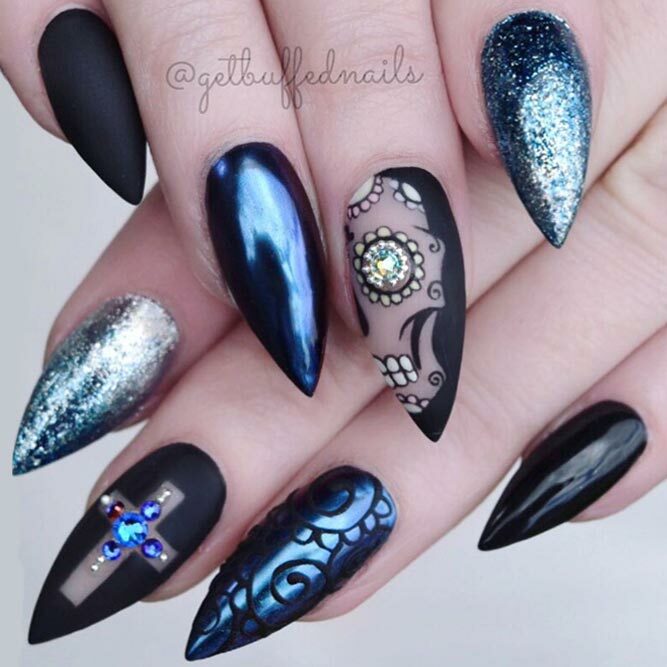 Stilettos nails are at their best when you combine them with some edgy designs. 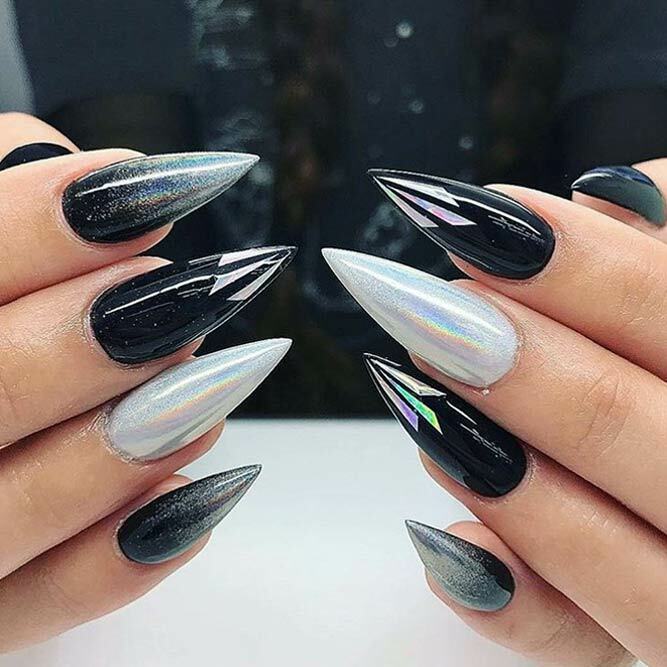 We think the combination of black and silver holo shades is what you need for the creation of something as irresistible as this image! There are some trends, which linger in fashion longer than others and marble nail art is truly one of those. 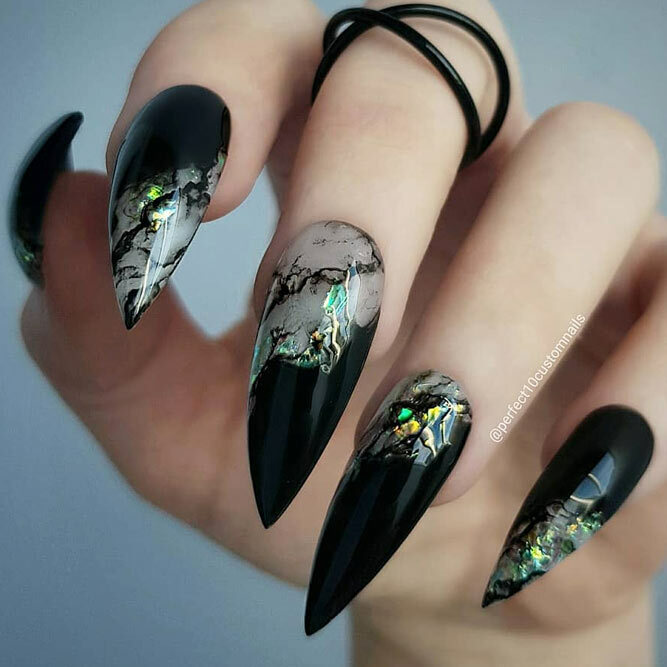 Not only marble stone patterns do not want to go out of fashion but they introduce more and more interesting twists into the sphere of nail art. 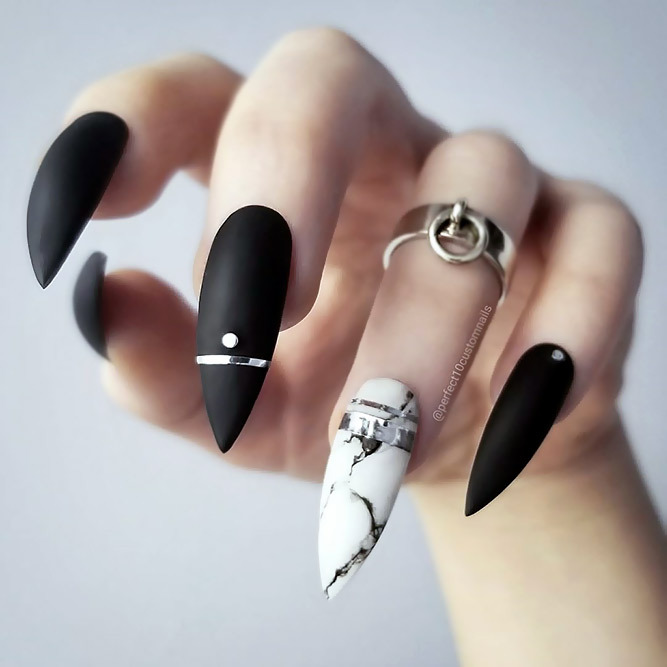 These black stiletto nails with marble addition look simply marvelous! It is true that there are colors which complete each other like nothing else and when you look at the combo of black and purple you can understand what we have in mind. There are some many masterpieces to be created with this killer match that it is difficult to list, but we managed to gather here the best ones! 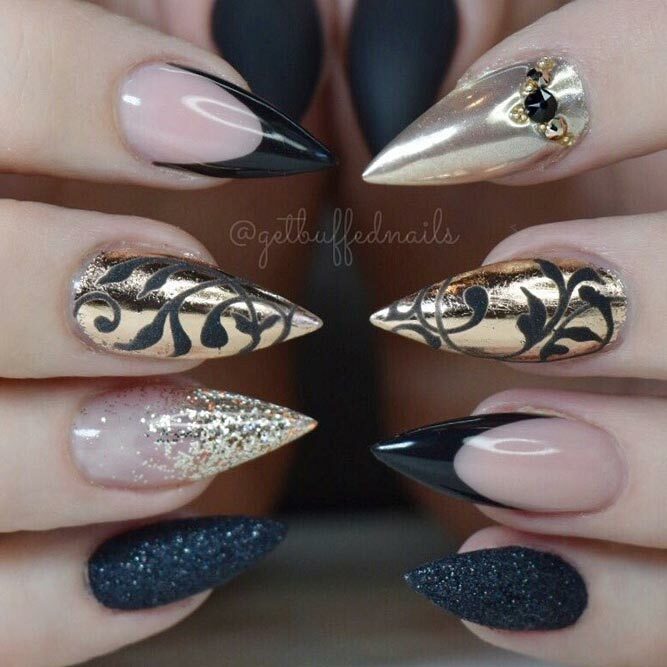 If you want to create a masterpiece on your fingernails, you are bound to mix and match styles. But apart from all that metallic blue, sparkling blue, and even blue rhinestones, there is something more needed to emphasize all that beauty. And that, of course, would be black! Let’s talk sheer elegance here! 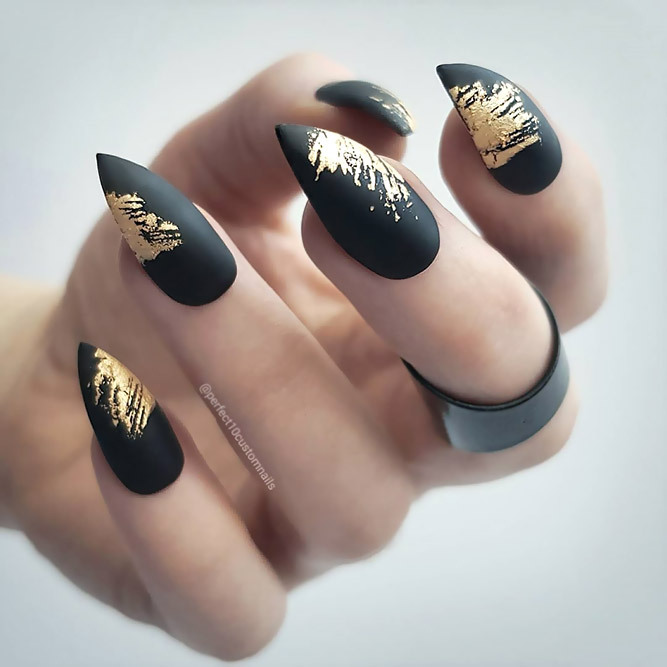 We say that because there is nothing more elegant than the combination of gold and black in one stunningly sweet manicure. The way these two intertwine is mind-blowing! There is some kind of magic when it comes to the combination of red and black. 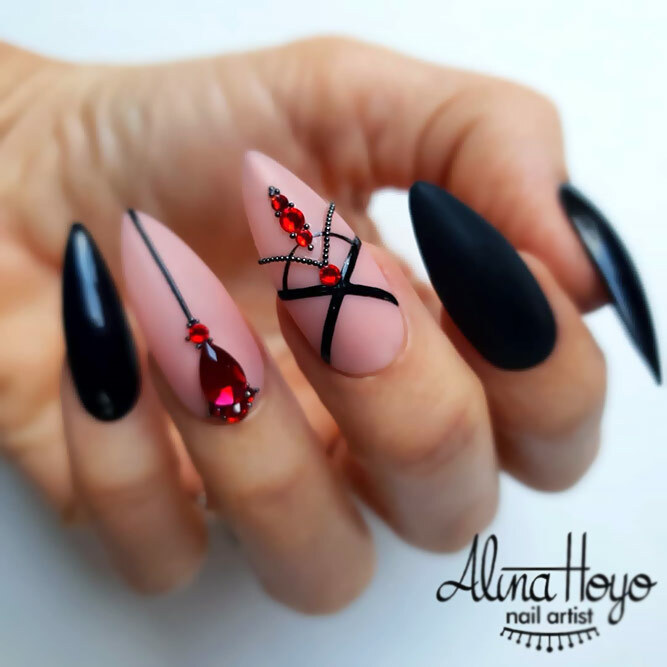 There is that dark desire that arises after just one look at this matte red and black mani. Be careful with it! 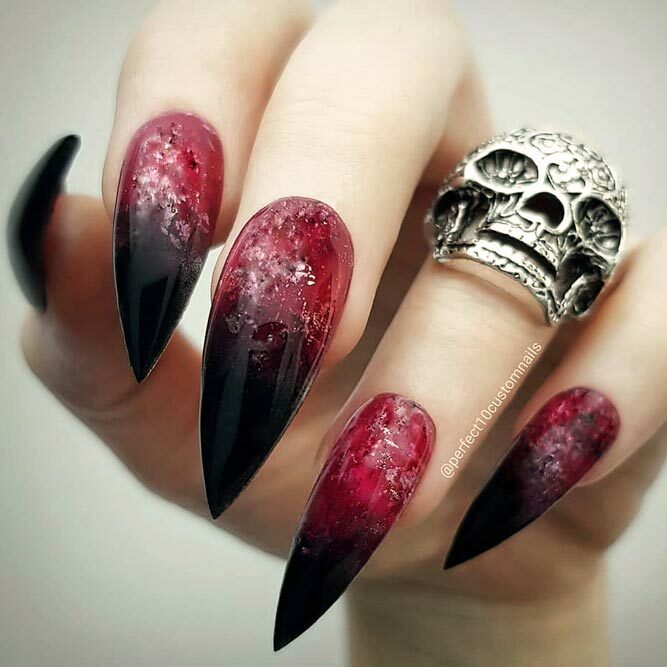 It is true that stiletto nails do not need much shading to look edgy and exquisite. 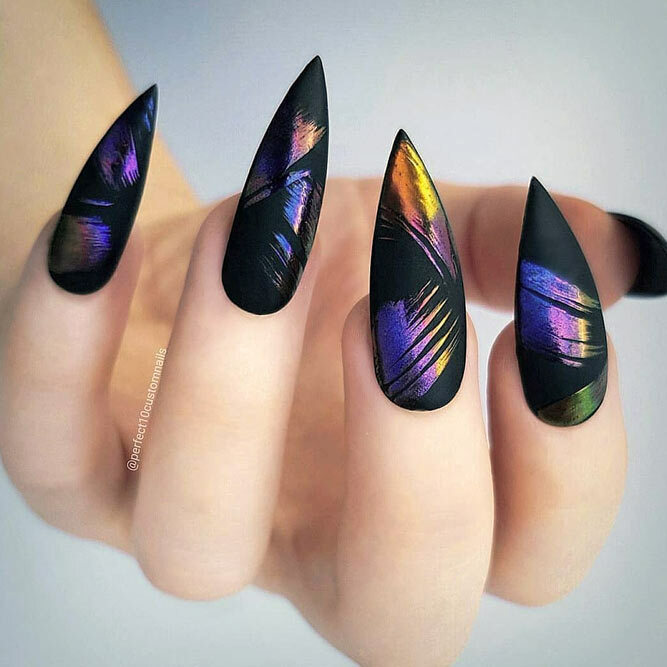 However, if you are looking for a trendy upgrade for your nails, we may have a few ideas in mind. The thing is that no matter the tint – green and black colors look ravishing together. Besides, there are a lot of details to choose from – magnetic metallic effect, stylish piercing or extraordinary rhinestone pattern – take your pick! Even one correctly chosen shade can speak louder than some complex patterns. Of course, we are talking about matte black. There is that strong vibe the matte black stilettos send, it is both charming and scary. Sometimes what we need is both bold and elegant. But what to opt for to achieve such an outcome? We may know a little secret, and we will share it with you. Extra-long stilettos covered with glossy black and accentuated with a striking rhinestone pattern!